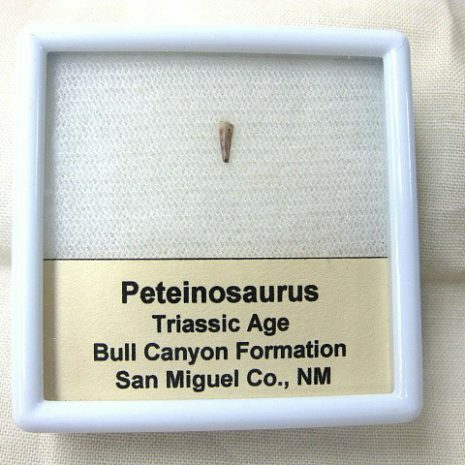 Hi, i was looking online and i came across a website that has a small tooth labelled as Peteinosaurus (from the Triassic). My question: is this legit? Because i tried doing some research on this pterosaur and apparently Peteinosaurus material has only been found in Italy (near Cene) while this is labelled as coming from the Bull Canyon Formation in New Mexico and i can't find any pics online of Peteinosaurus teeth to compare it to. I would love to add a triassic pterosaur fossil to my collection but i can't be sure if this is the real deal. Publication of The vertebrate fauna, biostratigraphy of Bull Canyon Formation - New Mexico Geological Society does not specifically show this species. Does not mean it's not there, just not described or it might just be another Pterosaur. Not much is published arohnd pterosaurs. Peteinosaurus or another pterosaur,it is still a nice tooth.If you like it,go for it . Thanks, yeah there is too much doubt to know if that id is correct (unless the seller knows something we don't). 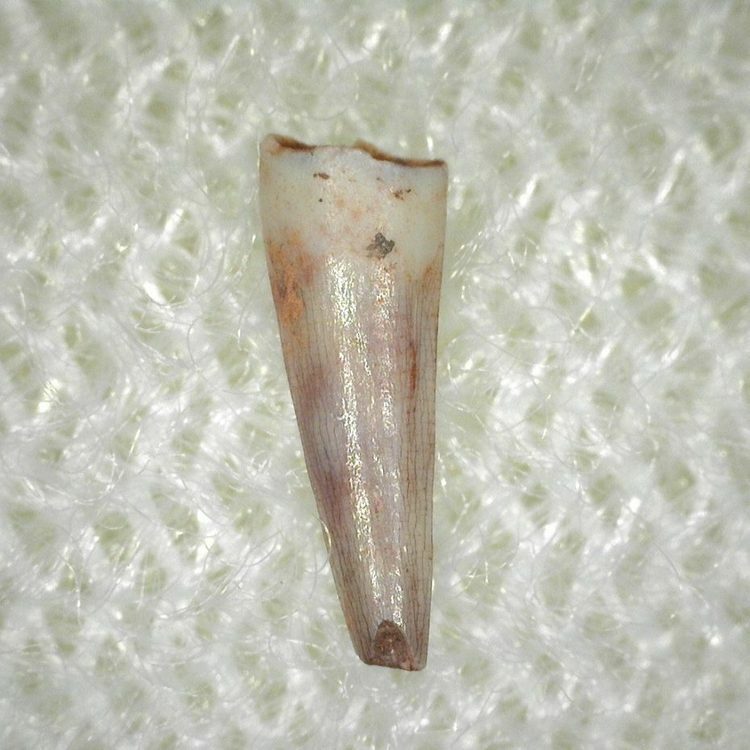 What i can't understand, is how the seller can confidently assign an isolated tooth to a genus of a pterosaur that hasn't been described from that location. If there was some doubt shouldn't the seller place a question mark next to the genus name or at least something in the description to explain what it may or may not be?. I do have a pterosaur tooth labelled Coloborynchus (Sirrocopteryx) and do i see those teeth on the market frequently, other than that the only other pterosaur fossils i have seen for sale come from Alanqa (from Morocco) and Pteranodon (from the Niobrara formation) and those are quite rare. So i was hoping the id was correct and i was just missing something and i have heard good things about that website and they do seem reputable, but probably better to avoid buying something i can't be confident about. i do however look forward to see what new discoveries are made about pterosaurs in the future. Unfortunately sellers do it quite often especially with Moroccan material. What's probably going on here is that he purchased it from a dealer who sells Triassic material from the Bull Canyon and went with that call. I'm aware of a couple of dealers who sell from that locality. Please, do not post links to commercial websites. Pictures from the website are allowed, but not links or ad copy.